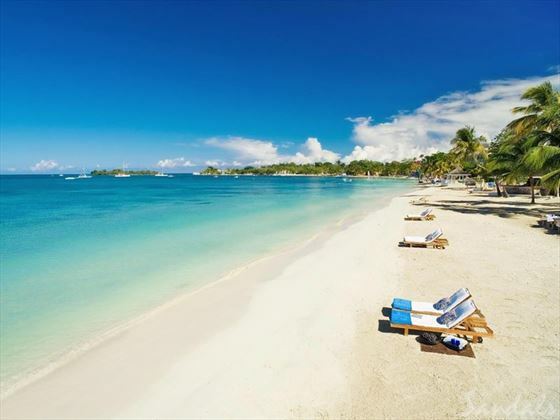 Perfectly chic and ever-so-playful, Sandals Negril Beach Resort & Spa is set on the longest stretch of Jamaica’s famed Seven Mile Beach. 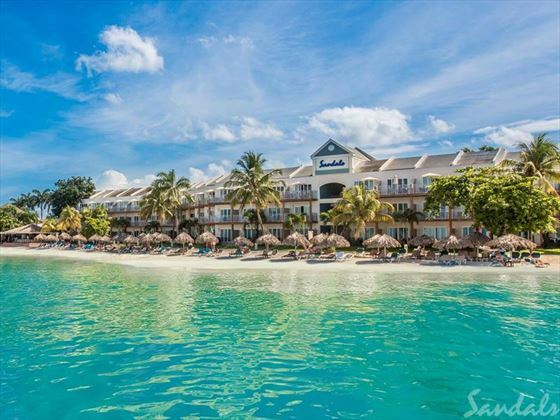 With an ambiance that perfectly melds relaxed tropical luxury and barefoot elegance, Sandals Negril was created to hug its seaside location to make it a true beachfront resort. Incredibly tranquil waters lend themselves to all manner of watersports, from swimming to snorkelling and kayaking. 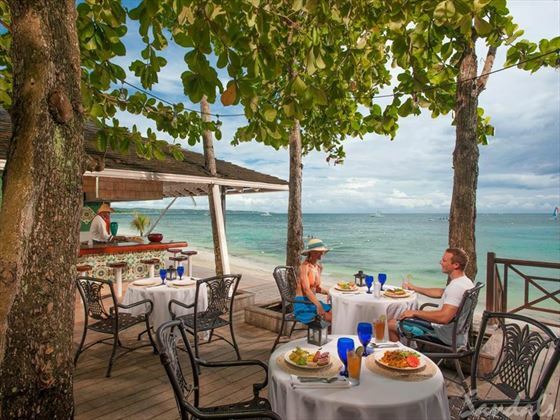 Six restaurants that offer savoury cuisine ranging from the West Indies to the Far East are set along - and even on - the beach, so every seat offers a view of Negril’s legendary sunsets. 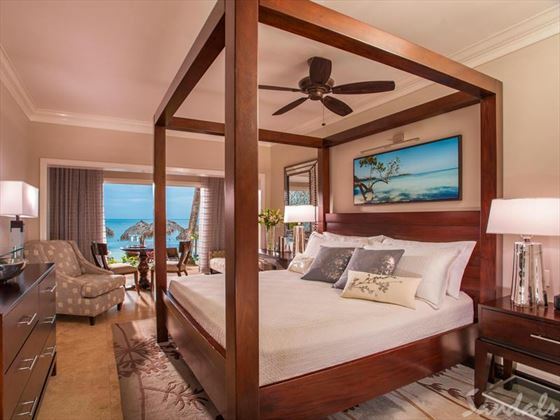 This beautiful adult-only hotel is located along Seven Mile Beach, Jamaica's most famed beach boasting sugary soft sands and brilliant views of the Caribbean Sea. 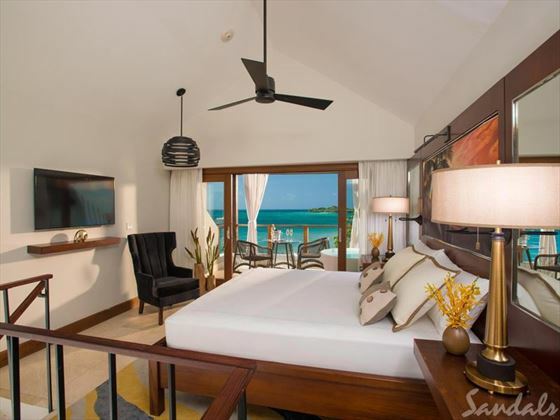 Discover perfection, inside and out, at Sandals Negril, where you’ll find sumptuous accommodations ranging from stunning garden-view rooms to suites you can literally swim up to. And all of it’s found along the most magnificent stretch of Negril’s seven-mile beach, where the rhythms of the ocean will show you the true meaning of paradise. Concierge Service will pamper you with VIP check in, special luggage handling, tour arrangements, private parties, in suite bars and a concierge dedicated to looking after you. Bayside Restaurant - Delicious international dishes at breakfast, lunch and dinner. With different themes each day, from Italian to seafood and much more, you can fill up on all your favourite foods. 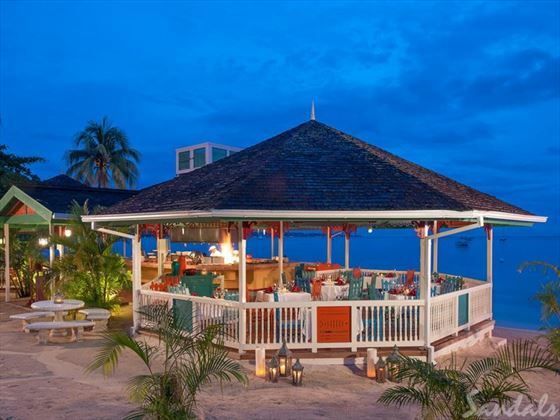 The Sundowner - This enchanting restaurant, which serves classical Jamaican food with an Asian accent. White-glove service set to the melody of the ocean waves- discover a whole new meaning to the word romance. Kimonos - Sizzling shrimp, seared steak and tender chicken, all flame-grilled in front of you - nothing beats the sheer culinary thrills of a Teppanyaki dining experience. Barefoot by the Sea - Dig your toes into the powdery sand, as you bite into expertly prepared, fresh seafood. Drink a toast to the tropics beneath a star-filled Caribbean sky. 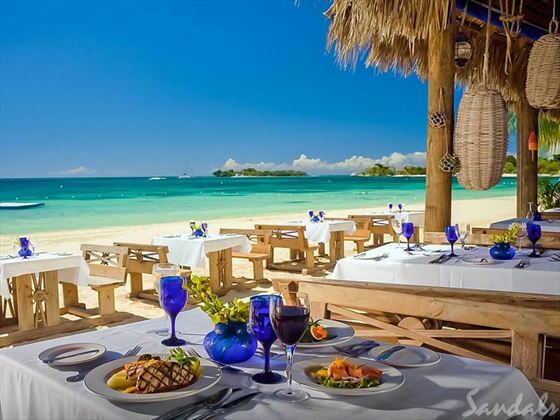 Enjoy signature white-glove service, as the waves come ashore just feet from your table set right on the beach. 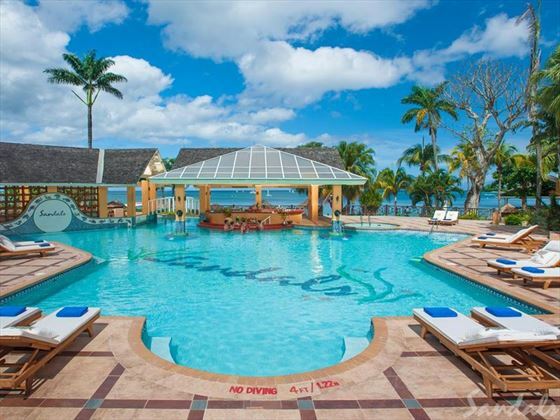 Sandals is a ’Couples Only’ property. Evening entertainment each night including burlesque night, boonoonoonos beach party, caribbean night and many more themes! The lively ambience is highlighted by the resort’s eclectic style. 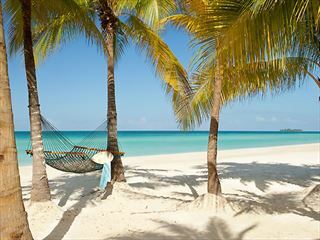 Located just 5 miles from the centre of Negril set right on the stunning and famous Negril beach. 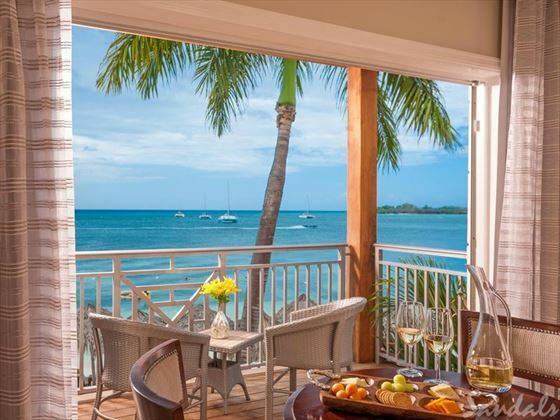 This resort offers exquisitely appointed rooms and fine dining within a romantic setting. 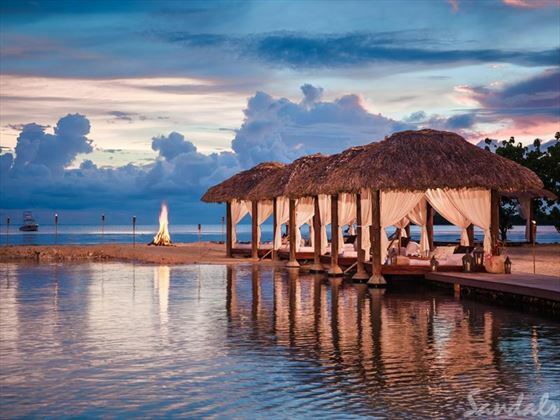 Couples Swept Away is a luxurious hotel in a 17 acre beachfront setting in Negril. 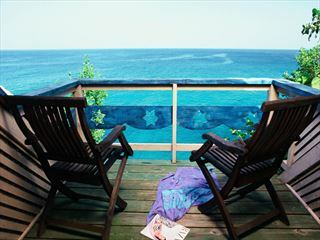 All suites have spacious verandah’s overlooking the gardens or the Caribbean Sea assuring you of your privacy. Couples Swept Away simply captures your heart and soothes your soul. 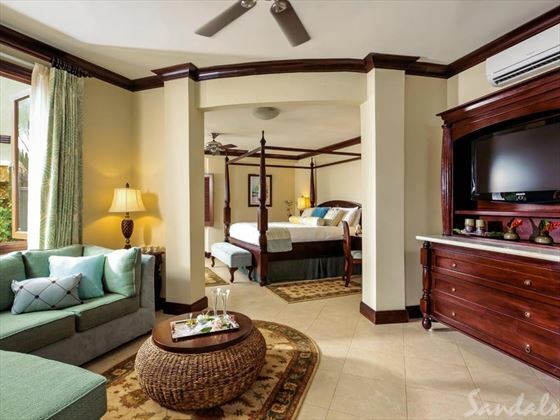 The Caves capture all the essence of a seductive oceanfront sanctuary. 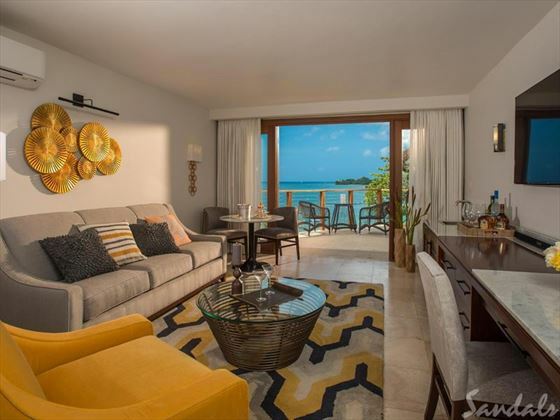 Perched above Negril’s volcanic formed caves, adjacent to the historic Negril lighthouse and overlooking the Caribbean Sea. 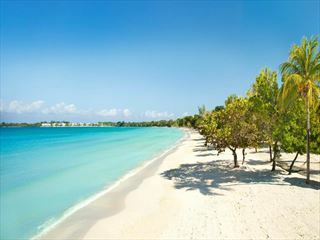 This hotel offers easy access to the nightlife and legendary beaches of Negril.